You are at:Home»Grub»Day 10! 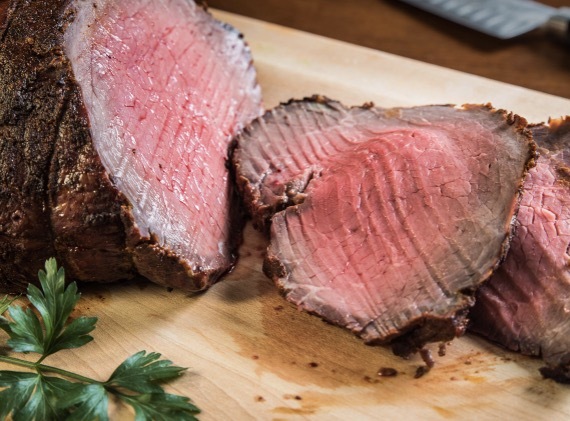 and today we have a mouth watering roast beef recipe..
Day 10! 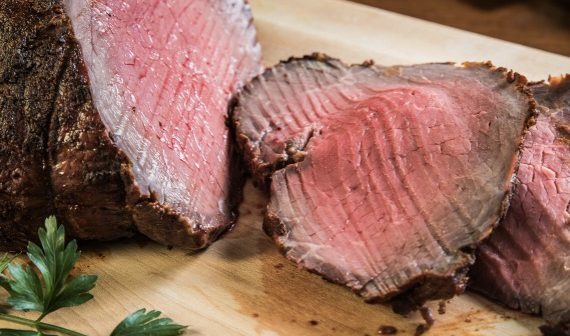 and today we have a mouth watering roast beef recipe..
Roasted filet of beef is a guaranteed crowd pleaser. The balsamic and Dijon in this recipe give the beef an extra kick of brightness and will have your guests begging for more. Preheat oven to 500 and line a sheet pan with foil. Place the beef on the pan. Combine the mustard, balsamic, salt, and pepper in a small bowl. Spread the mixture evenly on the filet. Roast the filet for 25 minutes for rare, 30 minutes for medium rare, Or 35 minutes for medium. Remove pan from oven, tightly with foil, and let beef rest for 10 minutes. Slice and serve. Tempted to cheat just a little? What difference can it make, right? WRONG! The Whole30 demands 100% compliance—and that’s science, not us playing the tough guy. As Anne Sharp learned, you get out of the Whole30 what you put into it.